At long last, here are the first results of Just Up The Pike's Great Peruvian Taste Test, finding you the best pollo a la brasa in suburban Maryland. We've been taste-testing the top five restaurants as selected by You, The Reader and rated according to our established taste test criteria, with a couple of changes. 9423 Georgia Avenue, Silver Spring. 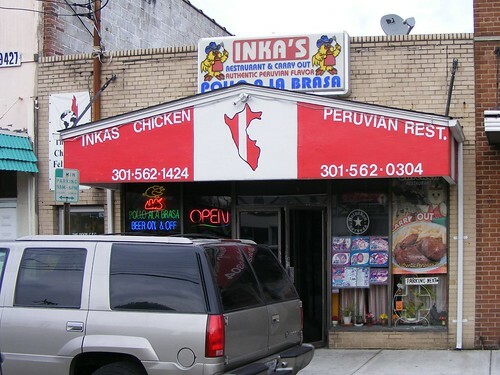 Inka's Chicken, which took fifth place, is well removed from the clusters of rotisserie in the downtowns of Wheaton and Silver Spring, wedged between an aquarium and an adult video store. If you're into running across seven lanes of Georgia Avenue, you might having dessert at Tropical Ice Cream Cafe, formerly known as York Castle. This place isn't particularly welcoming. The windows are tinted and I waited five minutes for the cashier to finish conducting a conversation in Spanish with another customer. You won't find the snappy service of more "mainstream" joints like El Pollo Rico or Crisp and Juicy. But the food is more than worth it. Meat and Flavor. The first bite of an Inka's chicken is like a punch in the face. Be prepared to experience a really complicated, smoky taste, in which flavors bubble up to the surface and disappear. I was pleasantly surprised. Sides. Plantains are $2.59 extra, an unpleasant surprise for me with $6 in my pocket and not wanting to meet the minimum for credit cards. While I couldn't try them, it's worth noting that they are made fresh - the plantain is cut, sliced and fried right before your eyes. Instead, I had coleslaw - it all tastes the same, and you wouldn't come to these places for amazing slaw anyway - and rice that tasted as flavorful as the chicken it was served with. Sauces. 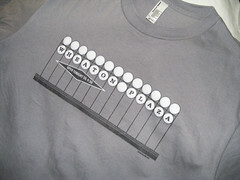 The same as everywhere else. But really, it doesn't matter because the rice and the chicken (and presumably the plantains) are so good you could eat them dry. This humble strip mall on Ennalls Avenue in Wheaton is where El Pollo Rico first became famous and subsequently burned down two years ago. 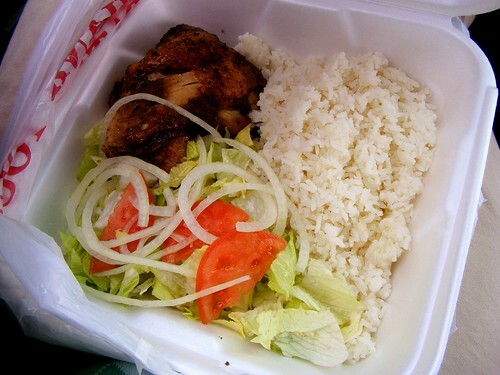 In its place have risen a number of Peruvian rotisserie places, including El Pollo Kiki Riki and Pio Pio Super Chicken, which took third place in our Great Peruvian Taste Test reader poll. 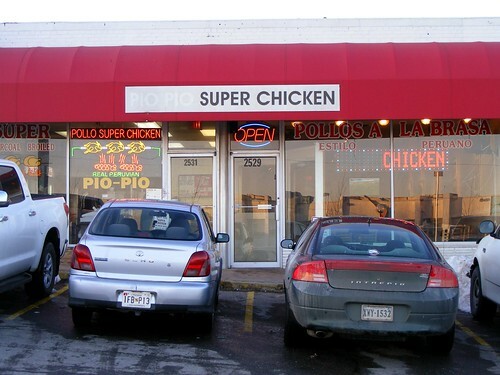 Of all of the places we've taste-tested, Super Chicken certainly has the busiest signage, no doubt a requirement when its block and all of Wheaton are saturated with the heavy scent of rotisserie. The food also stands out from that of its neighbors, but it's not perfect. Meat and Flavor. The chicken was juicy and tender and not particularly greasy, either. It falls right off the bone. I found the meat kind of bland. There were some weak hints of cumin, but I felt I had to search for it. Overall, it wasn't much different than what you'd find in non-Peruvian rotisserie restaurants. Sides. 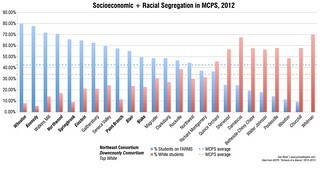 As at most places, plantain costs extra. The portion was a little skimpy but it was golden and not too sweet. Overall, it was the best part of the meal. The rice is soft and buttery. Sauces. Super Chicken's green sauce was a little watery and not too spicy. The yellow sauce was nothing out of the ordinary, but I went through it pretty fast in a desperate move to put some flavor on the meat. Later, we'll catch up with the rest of our taste test winners - Crisp and Juicy, Sabroso Grill and the venerable El Pollo Rico. Is it as good as its reputation suggests? We'll find out.